While there is a wide range of carpet options that homeowners can choose from today, each type comes with its pros and cons. There can be noticeable differences in carpet lifespan and maintenance by adding padding. If you are going for wall-to-wall or broadloom a pad specified at 1/2 inch 8 pound with mesh for strength is recommended. Carpet pad provides comfort under foot and extends the life of the carpet. Let us take you through the benefits of carpet padding in detail here. We love our wood in Colorado, however carpet and wood in tandem create a complimentary and stylish overall appearance. Carpet Padding — A good pad works to counteract the risk associated with tripping, slipping, and falling. The carpet pad keep carpeting firm and in place, ultimately making them safer especially when the carpet is not glued or attached to the floor. Look and Feel – Every home should feel inviting, warm and cozy. That’s where carpet and pad come in. Contact a Denver wholesale carpet professional, such as Carpet Connection, to get advice on carpeting and pad that meet your individual needs. When dust and dirt are trapped in the carpet, excessive wear and tear could result. Dust particles are pushed into the carpet by pressure from the foot. This sort of direct accumulation leaves you exposed to allergens. Plus it damages the carpet influencing its performance and longevity. Carpet padding underneath your carpet acts as a protective barrier. The pad helps extend the lifespan of the carpet, creating a good return on investment. It is not easy to keep your carpets looking clean and crisp between professional cleaning arrangements. Carpet paddings allow you to vacuum in a manner that is more effective and easier than what you expect from cleaning a carpet without pads. The pads create a space that allows for air passage between the floor and the carpet. Vacuuming works better when there is natural air flow underneath carpeting. It works by causing any accumulated debris to be pushed out and flee. 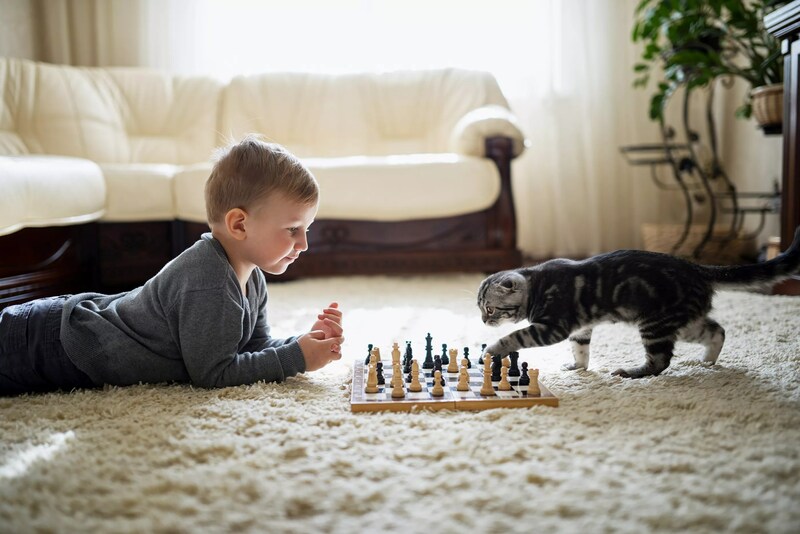 Carpet colors and dyes can fade off over time due to many factors, such as prolonged exposure to dust, use of strong chemicals for floor cleaning, moisture, etc. With carpet padding, however, you don’t have to worry about seeing your carpet color fade. Carpet padding adds a layer between the carpet and the floor surface, this way keeping any moisture or dust on the floor from directly accessing the flooring. If you are looking for a new carpet for your home or if you want to get carpet padding for the existing flooring, visit Carpet Connection now to look at the options.